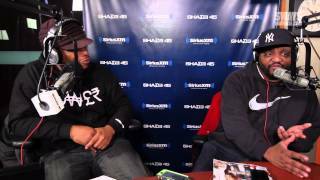 Funny man, Aries Spears, has been in the game for 25 years, and demonstrates why he has been so successful, by making the whole Sway in the Morning crew laugh with his impressions. Spears easily freestyles over a few beats as DMX, Snoop Dogg, LL Cool J and Jay Z, plus throws in hilarious impressions of Arnold Schwarzenegger and Shaq. After the multi-personality cypher, Aries calls out fellow comedians Jay Pharoah and Affion Crockett to an impersonation battle. Calls. Calls. Menu. Home; Topics. News; ... Aries Spears Calls Out Fellow Comedians Jay Pharoah & Affion Crockett in an Impersonation Battle.